David Phelps is among the most extraordinary tenors alive and has wowed audiences all over the world since joining the Gaither Vocal Band in 1997. But David is more than just a voice... he is a devoted husband and father of four, an inventive artist, a friend, a craftsman, and much more. 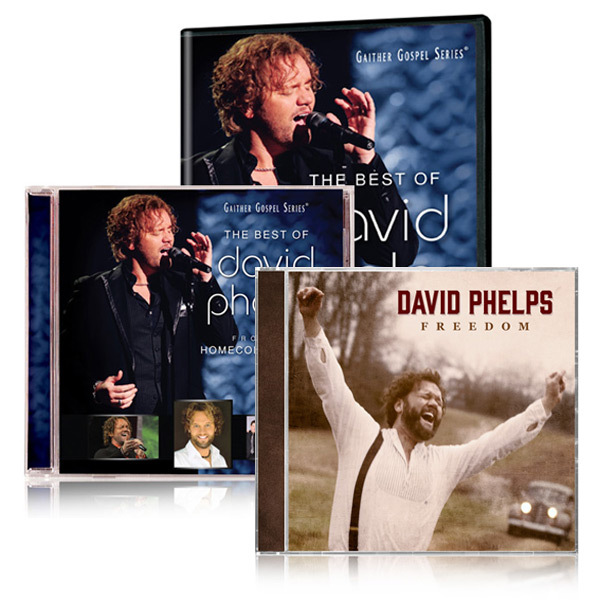 The Best of David Phelps brings together David's most awe-inspiring moments from the Gaither Homecoming stage with a very personal journey into the life, family and faith behind that flawless voice! GRAMMY-nominated, classically trained tenor David Phelps showcases his award-winning voice and three-octave range on his all-new recording, Freedom. Featuring unique arrangements of cherished gospel classics such as "We Shall Behold Him" and "Ain't No Grave" as well as riveting arrangements of new songs, Freedom highlights Phelps' unprecedented style and underscores his ability to bring music to life.